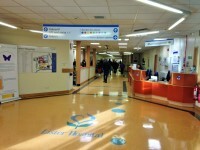 The main entrance to the Lister Hospital is located off Coreys Mill Lane. There are two bus stops just outside the grounds of the hospital. Bus stop A buses include: 55, 80, 300, 301, 386, 390, 635. Bus stop B buses include: 55, 80, 300, 301, 386, 390, 635, SB8, SB9. 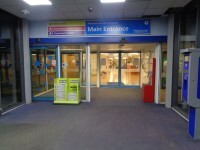 Link to getting to Lister Hospital. 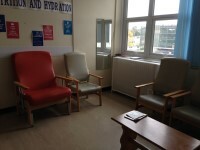 The Patient Advice and Liaison Service (PALS) is located in the main hospital corridor. 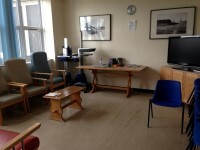 The telephone number for the Patient Advice and Liaison Service (PALS) is 01438 285 811. The email address for the Patient Advice and Liaison Service (PALS) is pals.enh-tr@nhs.net. Volunteers can be found at the main reception. 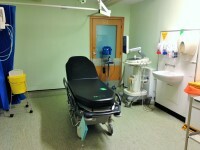 No hospital staff receive deaf awareness training. The alternative formats documents can be provided in include; Braille on request, large print on request and different languages on request. 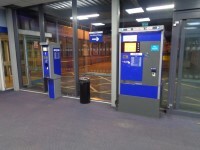 There are wheelchair collection points at all main entrances. 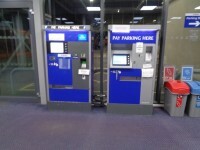 A fee of £1 is required to use the wheelchair(s). You are on Hospital Parking (Multi-Storey). Skip to the next section. 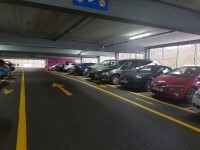 The car park is located at the rear of the hospital site. The barrier controls/touchscreen can be reached from the car. 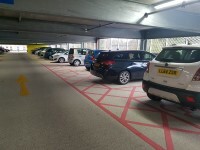 There is/are 81 designated Blue Badge parking bay(s) within the hospital car park. 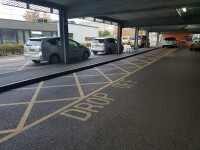 The dimensions of the designated Blue Badge parking bay(s) surveyed are 378cm x 689cm (12ft 5in x 22ft 7in). 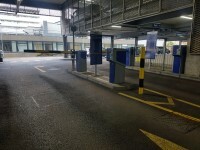 The drop-off point is located to the right as you face the main hospital entrance. 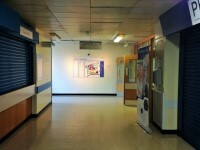 Payment signs are located at the payment machines in the hospital building. 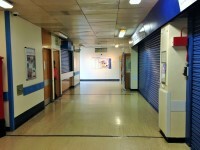 Payment machines are located inside the hospital building. The route from the car park to the hospital entrance is clearly signposted. 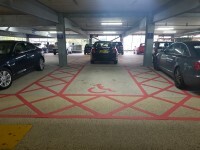 The nearest designated Blue Badge parking bay is approximately 22m (24yd 2in) from the multi-storey lifts. You are on Getting To (Ward 6b). Skip to the next section. Ward 6b is/are located on level 6 of Tower Block. 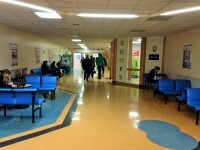 Access to Ward 6b is via the Main Entrance. 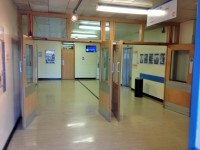 After entering the hospital via the main entrance proceed past reception into the main corridor. Go straight ahead and follow the corridor right to the end. At the end of the corridor turn right into the lift lobby. 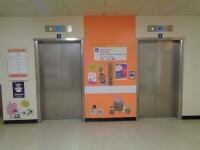 Take a lift up to level 6 turn and Ward 6b is on the left as you exit the lift lobby area. 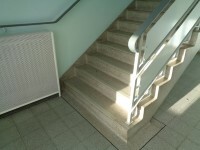 There is step free access, via lift, to Ward 6b. 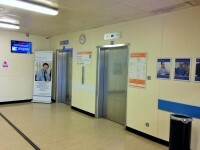 Ward 6b is approximately 17m from the Tower Block lifts. 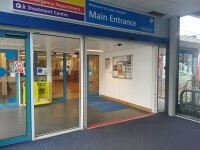 You are on Outside Access (Main Hospital Entrance). Skip to the next section. This information is for the entrance located on the east side of the hospital site. The width of the door opening is 211cm. This entrance is open 24hrs. You are on Other Floors (Tower Block NEW). Skip to the next section. 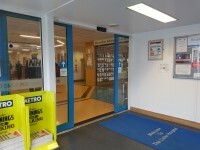 There are manual, heavy, double doors to enter and exit the stairwell on all floors. 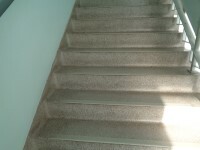 The floors which are accessible by stairs are 2,3,4,5,6,7,8,9,10,11. 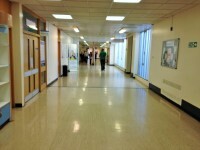 Clear signs indicating the facilities on each floor of the building are provided on landings. You are on Lift (Tower Block). Skip to the next section. 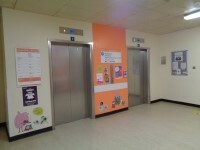 The lift is located at the rear of the main hospital building in the Tower Block/Orange Zone. The lift is approximately 126m (137yd 2ft) from the main entrance. 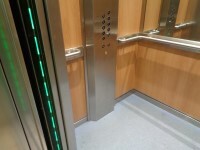 The floors which are accessible by this lift are 2-3-4-5-6-7-8-9-10-11. The dimensions of the lift are 156cm x 241cm (5ft 1in x 7ft 11in). 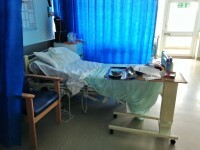 This is a/an renal ward. There is/are 25 bed(s) on this ward in total. 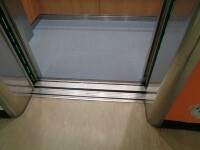 The width of the door opening is 200cm (6ft 7in). 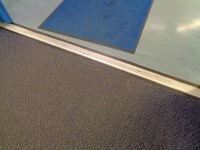 The type of flooring is vinyl/laminate and tiles. There is some flooring on the ward with large, repeating patterns that incorporate bold contrasting colours or simulate steps. 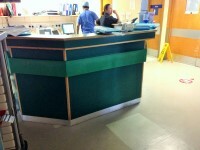 The height of the Nurses' Station desk is 98cm. 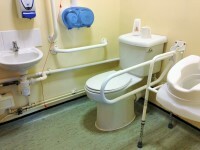 There are no side rooms available with an accessible ensuite. 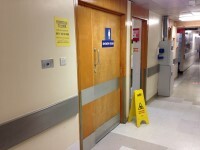 There are not accessible toilet facilities for patients on the ward. Accessible toilet facilities for visitors are located on levels 3 and 9. 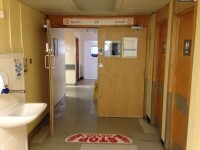 Standard toilet facilities for visitors are located in the corridor outside the ward entrance. 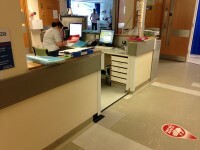 The height of the nurses' station desk in the north wing of the ward is 120cm. There is/are 2 washroom(s) of this type in the unit. The washroom is not for the sole use of disabled people. The width of the door opening is 120cm (3ft 11in). The dimensions of the washroom are 250cm x 200cm (8ft 2in x 6ft 7in). There is a/are coat hook(s) 165cm from the floor. The height of the towel dispenser is 120cm. The washroom surveyed does not have a ceiling tracking hoist. The height of the flip down/tip up or fixed seat is 53cm (1ft 9in). The washroom surveyed has a wash basin. The washroom surveyed is located in the North Wing. 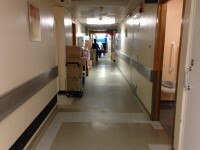 There is ramped/sloped access to the washroom surveyed once inside the ward. 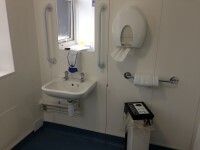 The dimensions of the washroom are 112cm x 148cm (3ft 8in x 4ft 10in). There is a/are coat hook(s) 173cm from the floor. The height of the wash basin is 82cm. As you face the wash basin the wall-mounted grab rails are on the right. The washroom does not have a non-slip floor. The sling is attached by hook and loop. 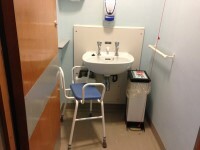 This accessible toilet is located in the North Wing corridor. 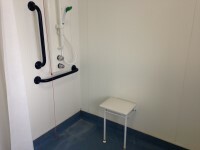 The dimensions of the accessible toilet are 150cm x 180cm (4ft 11in x 5ft 11in). The height of the soap dispenser is 10cm. The height of the wash basin is 87cm (2ft 10in). 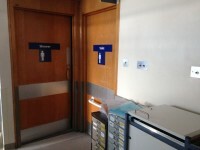 You are on Standard Toilet(s) (Patients). Skip to the next section. The shared toilets that were surveyed are located throughout the ward. You are on Standard Toilet(s) (Visitors). Skip to the next section. 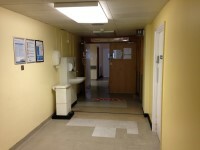 The shared toilets that were surveyed are located in the corridor immediately outside the ward. 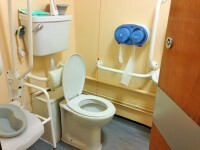 The shared toilet(s) is/are approximately 1m (3ft 3in) from the ward entrance. Main Entrance/Tower Block link (new tab) - click here.